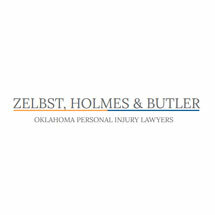 If you or a loved one has been injured in the Lawton area or anywhere throughout Oklahoma and nationwide, the law firm of Zelbst, Holmes & Butler can help you fight for the full compensation you deserve. We have been focused on delivering skilled personal injury representation since 1980. During the decades we have been helping those who have been injured, we have developed a nationally known reputation for being able to deliver the results people need. We have won the largest personal injury verdict in an Oklahoma state court, $24 million, as well as the largest Federal Court Judge verdict in Oklahoma, $7 million. Our commitment to ensuring that our clients have access to the medical and financial resources they will need as they journey through their recoveries has made a difference in the lives of our clients. We offer our clients knowledgeable and aggressive representation that is capable of creating positive results in the most difficult scenarios. We have the skills, experience and resources to be able to help our clients pursue compensation from any defendant, no matter how deep their pockets. We are committed to being there for our clients for the long haul. Our attorneys can make the difference for you. At Zelbst, Holmes & Butler, we can help you effectively pursue the compensation you deserve after an accident has left you injured. To schedule a free initial consultation, call 580-713-4124.